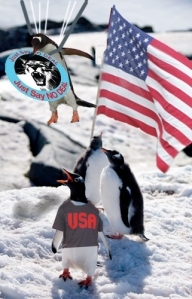 Patriotic Penguins courtesy of Uppity Woman and Freedom Fairy! This being the anniversary of John Glenn’s historic flight- a few words about American greatness. Do you remember this?? President Kennedy- unlike the current occupant of the White House, understood the need for America to LEAD. President Kennedy, in a time when the very idea of space exploration was so new as to be still almost the stuff of science fiction, understood the long-term implications for defense. Although the space program costs were mind boggling- the benefits are many. Satellites for weather and communications come to mind immediately along with Tang (you have to be my age to know what that is and how it relates to the space program.) How about all the jobs created by the space program? Not just in the sciences, but in the factories that built the components, the colleges and universities- why even down to the restaurant and gift shop jobs that grew up around Cape Canaveral when excited Americans flocked to see a rocket launch. Hope you all enjoyed it- because Obama is cutting it out of the budget. But in his 2011 budget request issued on Monday, Mr Obama said the project was too costly, “behind schedule, and lacking in innovation”. “We really like Indonesia because the State Department, the Department of Education [and] other agencies in the U.S. are reaching out to Indonesia as the largest Muslim nation in the world. We would love to establish partners there,” Bolden said. I don’t know about you but to me this does not seem like a very good idea- especially not with Iran already launching rockets. Do a web search on Indonesia and terrorism and you will see why. More pandering to countries that can not and will not get their terrorist jihadists under control? What is he thinking? It seems to me that Obama and his controllers are determined to drag America down to the lowest common denominator. He goes around the world apologizing for America’s greatness like it is something of which to be ashamed. He claims to greatly admire JFK while at the same time trying to destroy the country JFK fought for so boldly. Shame on you Mr. Obama! There is nothing wrong with being the best, with greatness, with winning! Listen to a truly great patriotic President! The socialist doesn’t care about the heavens. He only cares to redistribute wealth PMM. mcnorman- I am concerned that should Indonesia get the technology they will turn it right over to their terrorist buddies. Bad enough Iran is launching rockets- who or what is to prevent them from stuffing one full of nuclear waste? They don’t need a bomb to wreak havoc! I am convinced his whole plan is to drag us down and lift up his Islamofascist brethren! You’re right, this man’s direction is nothing short of evil. The path you describe is only one. Did you read what rjjdrq wrote about the Justice Dept? I had not seen that- thanks for the link. Very interesting- there really does seem to be layer upon layer there- slowly through the back door they are trying to turn America. I am going to bookmark that link! Thanks! 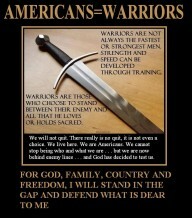 Obama and his crew seem hell bent on not allowing us to declare any greatness of the United States. Now it is “wrong” for us to consider ourselves a great country. Never before, to my knowledge, as this type of thinking been so pervasive at the highest level of our government. I agree with you PMM, it seems they want to drag us down. imust- greatness is not allowed! We make other poor third world countries feel bad. It is all our fault that we are so successful! This must cease at once! barry’s Muslim brethren hate us because we think we are so great! We are hurting their feelings! Screw that I say! We give so much to so many- and we get kicked in the teeth. Screw em all- let them eat each other and don’t come crying to us to fix it. NASA dug their own grave on this one. During the Clinton Administration, Al Gore used NASA to gather data for his church of the dead polar bears. Now, the “science is settled” and organizations like NASA are just less money that can be spent on pork projects. Maybe Florida should have voted for fighter pilot John McCain. Conservatives get painted as anti-knowledge all the time, but these guys are the ones eliminating learning. Schools are singing Obama carols, space exploration isn’t cost effective and how’s the embryonic stem cell research money going? Anything? Oh, hi PMM! My first time posting. Agreed- the “Progressives” “Liberals” whatever the hell you want to call them ARE eliminating learning. Nobody ever gets an “F” anymore- bad for self-esteem you know. Isn’t that how oilsoc got his “Peace Prize” Kumbaya and all that. We will see how they like it when we are begging the Islamofascists for a lift into space so we can use our cell phones. People who just don’t know any better will always cast the shadow on their rivals. People with common sense will typically try to support those things that are worthy and hopefully, those that can become self sufficient sooner rather than later. Knowledge is power. Logically, if there are more pros than cons, it should be worthy of being supportive. Something or some people in the current administration and their supporters, seem to place more value on their own cheerleading, than on delivering the goods. Cheerleading- exactly- the whole administration seems to be about barry’s place in history. He needs ot quit trying to win the “Miss Congeniality” award and start thinking like an American! Looking back, America achieved a lot of miles stones from technology to our economy. But, if we stay on the path we are currently taking. I doubt it if America can be once great again. Brandy- exactly! If We, the people, do not wake up and put a stop to this nonsense, our country will go the way of Rome- nothing but a passage in history. Enjoy your freedom? 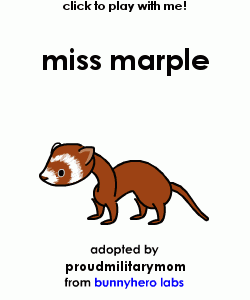 Thank a soldier and his mom! STOP WHINING! LEARN HOW TO COOK!